These days winged eyeliners are in so much trend, but a lot of women are scared to even attempt this look because it is not easy to do especially for beginners. Every time you put on makeup, you might have probably noticed that whenever you apply lipstick, it suddenly gives you an attractive glow. Same thing happens whenever you apply a winged eyeliner to your face because it suddenly adds definition to your eyes. Most of the girls think that applying a winged eyeliner is a difficult task. It is indeed difficult to do if you’re not yet used to putting on eyeliner by yourself. But don’t be discouraged if you don’t get it at first try, applying a perfect winged eyeliner is a challenging task only for beginners. All you have to do is be patient, keep practicing, and you’ll be on your way to having a perfect winged eyeliner. 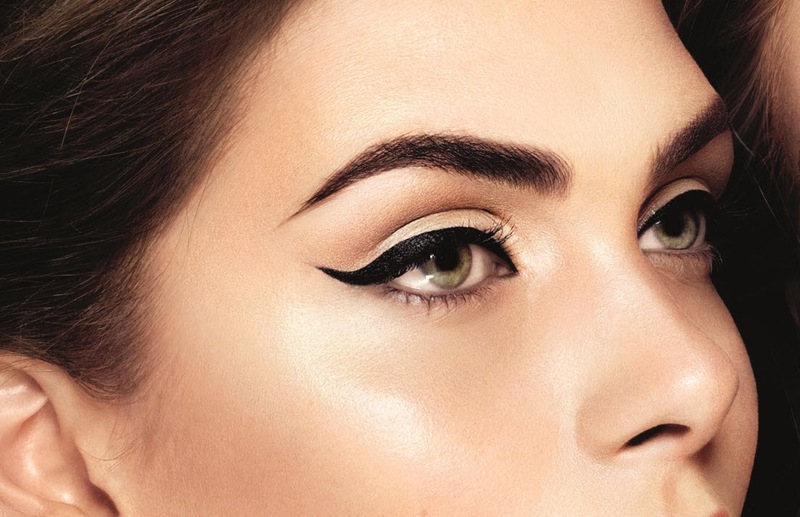 Before starting with a winged eyeliner, you must know what type of eyeliner you should use. There’s absolutely no required brand to do this but in order for you to achieve your desired look, choose a high-quality eyeliner for an easy and smooth application. We listed down the types of eyeliners below, so you know where to start. If you want to see the step by step guide on applying a winged eyeliner, watch our video tutorial below. Be patient and have fun!